My first post for Portland Center Stage's blog went out today. It has a brief overview of the season with a couple of highlighted plays. I will be writing posts throughout the 2012-13 season for PCS, focusing on theatrical interpreting, both general information and details related to specific productions. 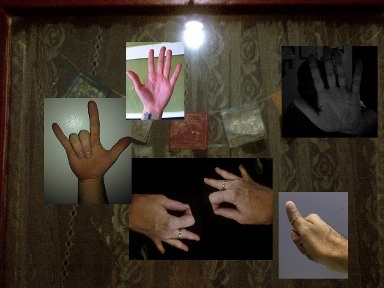 Thank you to the PCS signing access team members who answered my call to "show me your hands" yesterday. Your hands appear in the image on the PCS blog post. The next post will be about PCS's first production, "Sweeney Todd." You can read the PCS post here. This PCS webpage also includes a link to all signed performances for the season so you can get them on your calendar now. PCS Blog : "Sondheim on our Hands..."